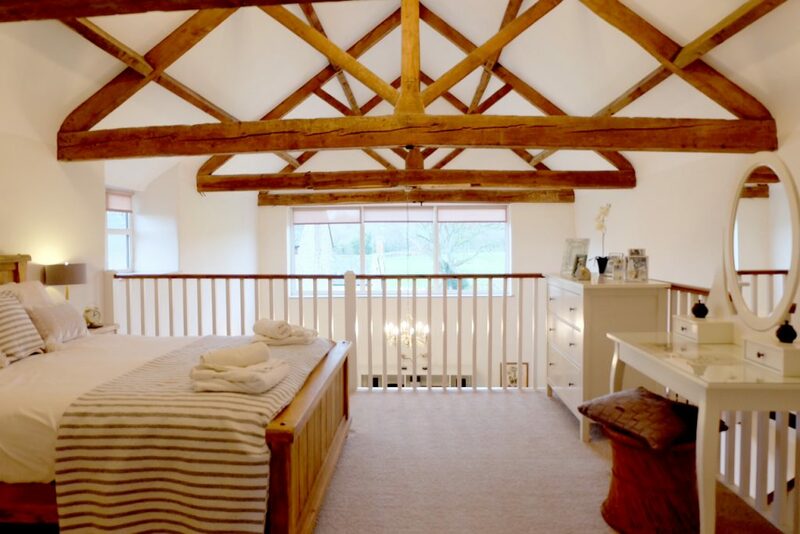 Try our boutique barn conversions and character cottages where contemporary interior design meets rustic charm. All of our properties are designed to be the ultimate relaxing and romantic retreat for couples, click here or on any of the photos to visit the Fords Croft Cottages Website. 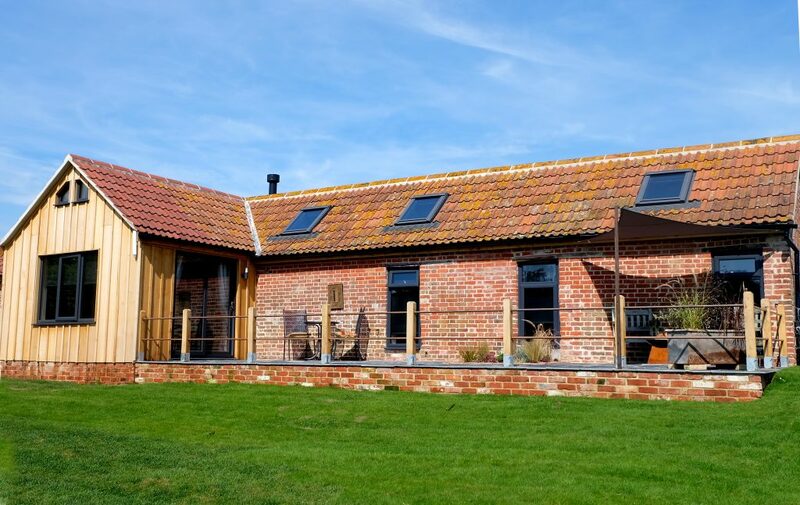 The Hideaway is a true hidden gem, a gorgeous converted barn from the 1800’s nestled in organic farm land with stunning south facing views of woodland and fields, perfect for couples who are looking for a stylish and romantic retreat. Approaching via the private drive you are met with a large detached converted barn, you enter the boot room with its original brick floor and on into the open plan living space flooded with light and brimming with original features. The interior is reminiscent of a boutique hotel with no expense spared to create the perfect blend of style and character. Doors lead onto the large secluded patio where you will have sun from breakfast till bedtime, you can dine outside then sit round the fire pit and gaze at the stars. To finish the perfect day slip into the roll top bath, light the wood burner and snuggle into the luxury king size bed. There is a footpath that runs straight past the property to the award winning gastropub or through the woodland trust to the market town of Crewkerne and the World Heritage Jurassic coast is only half an hour away. The Hideaway gives you the opportunity to retreat from the world and connect with your thoughts, nature and each other in a truly beautiful space. 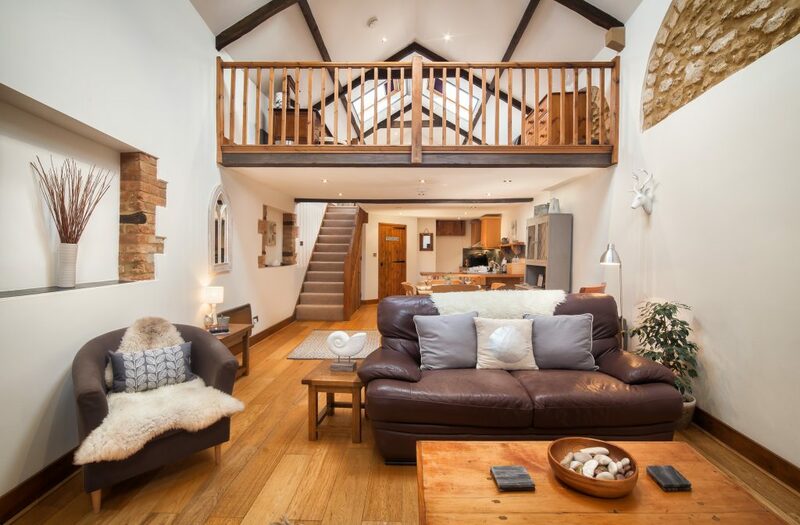 Oak Tree Barn is packed with features reminiscent of a bygone era, on arrival the double height ceiling with exposed beams and open plan layout never fails to impress. The restoration of this beautiful ham stone barn took care to preserve features such as the arched stone work along the south wall and maintain a sense of grandeur by keeping the original layout. Now you can relax in style with a beautifully designed interior that features an oak floor and kitchen, high quality furniture and furnishings and modern appliances. To top it off there is a lovely secluded seating area which affords stunning country views for a morning coffee or evening glass of wine. The Old Workshop is a stunning 18th century barn conversion that has been a labour of love to convert. Previously it was the farm workshop and prior to that used by the carter and his cart horses which gave plenty of inspiration for the conversion. The scale and grandeur of this beautiful barn is hard to appreciate until you are there looking through the huge original A-frames out to the rolling countryside beyond. We were careful to use traditional techniques such as lime rendering and pointing to maintain the style and longevity of the building. The interior has been beautifully designed and features a stunning wood burner, people often ask if they can move in! Croft Cottage is a cosy cottage but with contemporary style. When you first enter the huge kitchen-diner the first thing you will be drawn to are the spectacular views to the woods and hills beyond and then the patio doors leading onto a beautiful private garden. Then it’s into the cosy lounge complete with inglenook fireplace, ancient beams and doors and designer furniture. 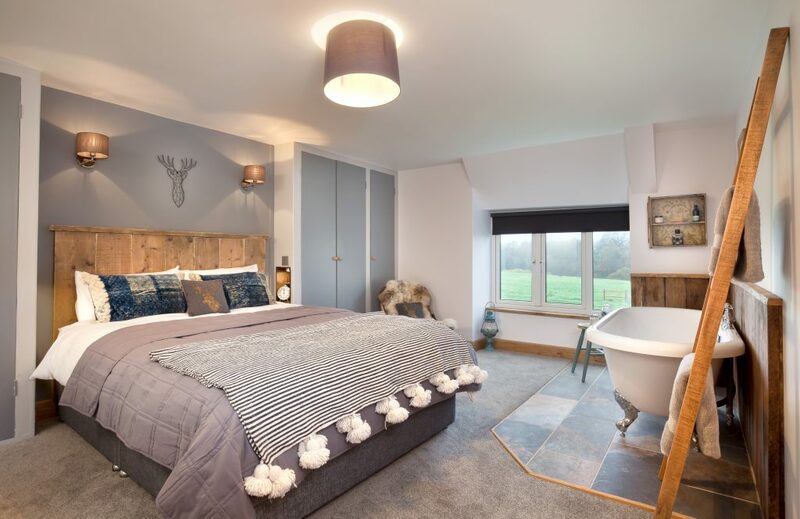 When it’s time for bed you are in for a real treat with a sumptuous large bedroom complete with freestanding bath, perfect for relaxing while you admire the distant hills. You will arrive to fresh flowers, tea and coffee, local biscuits and Egyptian cotton bedding with fluffy towels.